The mission of Soo Bahk Do Moo Duk Kwan is to achieve World Peace through improved human relationships. Along with this mission, our Grand Master - Kwan Jang Nim H.C. Hwang expressed his vision for the future of Soo Bahk Do Moo Duk Kwan. The vision/goal is to ensure the growth of our art for generations to come. The Kwan Jang Nim has identified five areas, known as the 5 Moo Do Values that are vital in the realisation of this vision. History, Tradition, Philosophy, Discipline/Respect, and Technique. Kwan Jang Nim states that these areas are the cornerstones of our development as the Moo Do practitioners we are today. With a Unique focus on the 5 Moo Do Values our students are educated in a positive environment with a much deeper knowledge to produce well balanced and confident individuals. 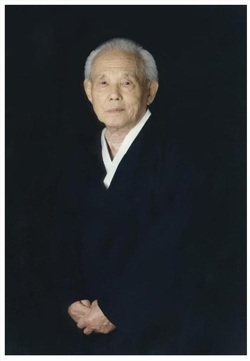 In addition, all the Official Australian Schools of The World Moo Duk Kwan are correctly Accredited and Certified with true lineage to the Founder Kwan Jang Nim Hwang Kee. This ensures that the material our schools teach is Standardised with a global curriculum as designed by the Kwan Jang Nim.